This project is just getting off the ground, so please bear with us as we develop the documentation and get the source files online. Thanks! Pi Shield for Raspberry Pi is an open source expansion to the low-cost, open-source Raspberry Pi embedded computer — providing new functionality and expanded I/O access, with enhanced development features. All of the source can be found in our Git repositories. If you have an improvement, we happily accept pull requests or patches! Report/view issues on our JIRA issue tracking instance. Checkout our Downloads page for the current releases, latest source, and archived snapshots. All documentation is undergoing development at this time. That’s all great, but you completely forgot a feature. — Developer’s Manual (coming soon). All software in the Pi Shield project is under MIT, unless expressly stated otherwise. 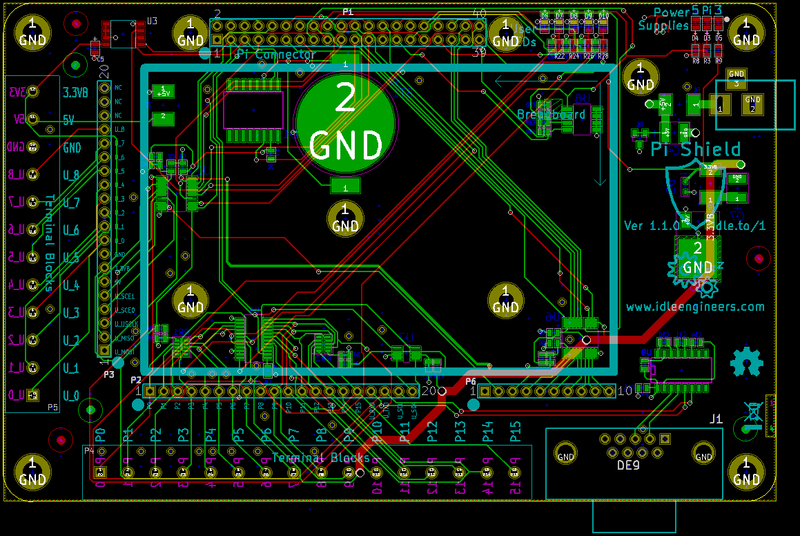 All hardware in the Pi Shield project is under OSHW, unless expressly stated otherwise. The Pi Shield documentation is licensed under a Creative Commons Attribution-ShareAlike 4.0 International License and can be found in our Documentation repository. We are offering a limited number of beta board pre-orders, you can pre-order yours here!